TERMS OF SERVICE In regards to Arsenal's Network Donation Store. 1. All Services and "Products" Bought are FINAL, all items are sold as virtual goods and services and are not redeemable in the "Real World" due to these limitations we practice the No Refunds/ No Chargeback Policy unless an exception is made by the Administration team of Arsenal Network. 2. Any Chargebacks made through our payment gateways but not limited to Credit Card Companies, such as Banks and any other third party Financial institutions will result in an immediate suspension of all services provide for the Individual (You). 3. Any use of Fraudulent information, Fake information will be provided for these financial institutions in regards to help a "Legal Investigation"
4. Arsenal Network Is not responsible for any loss of these Virtual goods if you the End user is at fault. Be sure to follow the instructions mentioned on the Store Description. 5. 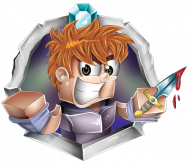 We are not responsible for any received items purchased by you or a third party that has lost the purchased item due to any of the following in-game experiences including but not limited to: Player data Loss, Server resets. Punishments and Death within the Virtual world. 6. If any of the server(s) or gamemode(s) on Arsenal Network are to ever shut down, refunds will not be available. 7. We are legally obligated to assure our clients are above the age of 18 to purchase online goods through our Payment gateways, in the event you are not above the age of 18 Parental Guidance or Legal guardian has to give Permission for these purchases or Acknowledge them. 8. We do not take any responsibility for our Virtual Goods being sold by third parties. 9. No information obtained by you from our online store or through any other third party should make any guarantee, warranty, conditions or any other agreement of any kind, except for those exclusively shown in these terms. 10. You are responsible for providing accurate information such as user names or UUID's in the event you fail to do so we will not reimburse you. 1. Your information, whether it has been shared publicly or privately previously, will not be sold, exchanged or given to any other company for any personal/commercial reason whatsoever. 2. The information provided will only be used for processing the payment, issues and revolving the purchased packages and/or delivery of purchased goods. 1. 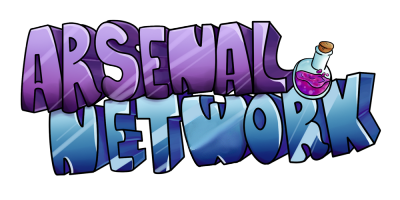 Arsenal Network Is not in anyway Affiliated with Mojang. AB. Nor are we considered a business endorsed by Mojang. AB. 2. Do not contact Mojang AB. In the event for Failed payments and issues. 17 / 350 players online. Copyright © 2019 Arsenal Network. All Rights Reserved.